After the 2010 Nobel Prize in Physics was awarded to Andre Geim and Konstantin Novoselov "for groundbreaking experiments regarding the two-dimensional material graphene," even more research and development efforts have been focused on two-dimensional nanostructures. Illustrating the importance of this area in future applications, Two-Dimensional Nanostructures covers the fabrication methods and properties of these materials. The authors begin with discussions on the properties, size effect, applications, classification groups, and growth of nanostructures. They then describe various characterization and fabrication methods, such as spectrometry, low-energy electron diffraction, physical and chemical vapor deposition, and molecular beam epitaxy. The remainder of the text focuses on mechanical, chemical, and physical properties and fabrication methods, including a new mechanical method for fabricating graphene layers and a model for relating the features and structures of nanostructured thin films. With companies already demonstrating the capabilities of graphene in a flexible touch-screen and a 150 GHz transistor, nanostructures are on their way to replacing silicon as the materials of choice in electronics and other areas. This book aids you in understanding the current chemical, mechanical, and physical processes for producing these "miracle materials." This is a book that combines presentation of state-of-the-art scientific techniques employing a highly pedagogical approach that makes it suitable for use in advanced classes in Chemistry and Materials Science. The first chapter includes a brief, but essential, introduction to all aspects of nanomaterials, with emphasis on size-dependent properties, which also makes it suitable as an introductory text for nanoscience. The following chapters focus on the hot topic of two-dimensional nanomaterials; most aspects of synthesis, characterization, physical and chemical properties are discussed. This is an excellent source of information for the hottest research topic of our decade. I like the approach followed by the book. First of all, key concepts in nanoscience are introduced from the very beginning, and then the main features that characterize the 2D nanomaterials are presented and thoroughly developed. ... The way that the book contents are organized makes it really appealing to anyone working in the field of nanoscience and nanotechnology. Given the increase in research and technological applications of nanolayered 2-D materials recently, this book is being published at the right time. Although the focus is on graphene, the coverage is broader and covers other 2-D nanosystems as well. ... The presentation of concepts of synthesis and properties of nanostructures is at a simple level, easy to understand and appropriate for graduate students. ... a highly arranged and well-organized approach to study the low-dimensional structures ... 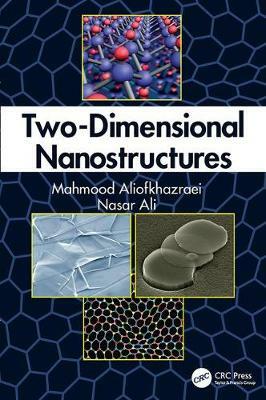 This book can be recommended to both students and researchers working in the field of nanotechnologies. The relatively large number of figures and suitable physical explanation of low-dimensional effects make understanding the subject easier.